but wanted to make it extra special! So I created this mini album box. Here is the box closed. Inside the box has 4 envelopes, each one decorated a little differently. I used the Layered Frame and Journal die to make a place for a photo. and even a small 3 page album there on the right. together. The paper is all Graphic 45 and Stampin Up. inside and on the outside I chose the Elegant Holiday Greetings. at Jaded Blossom for this opportunity! This is beautiful! I love how each page is decorated so wonderfully! Your box and pages are absolutely gorgeous! Love this Dottie! It's beautiful! Dottie, this is absolutely gorgeous!!! Beautiful Album and Box. Your Secret Santa will love this! Beautiful gift box and album. This is AMAZING!!!! Love it!!! This is gorgeous! Love the G45 paper and love seeing it used. Oh wow! The receiver of this beautiful box is going to love it. This is a beautiful mini box album. Love the gorgeous blends of colors used to create this box album. Your secret Santa will love this!! 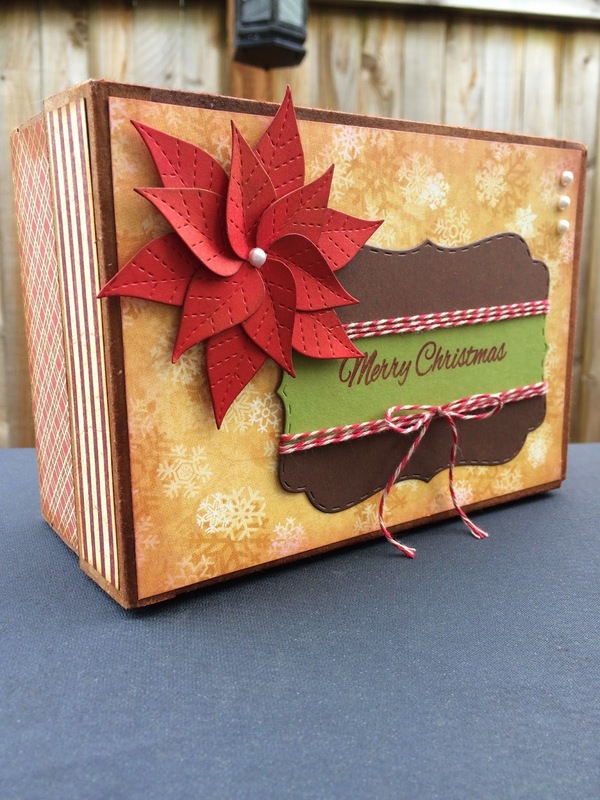 Fantastic use of the leaf die in making the poinsettia.. the whole box is beautiful. Great job! Beautiful box! I love this idea! this is awesome! love all the detail and how unique it is! Wow, what a neat idea! Your colors are gorgeous!